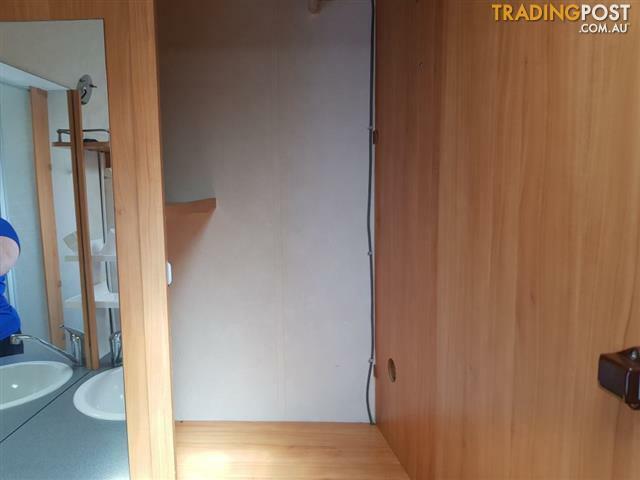 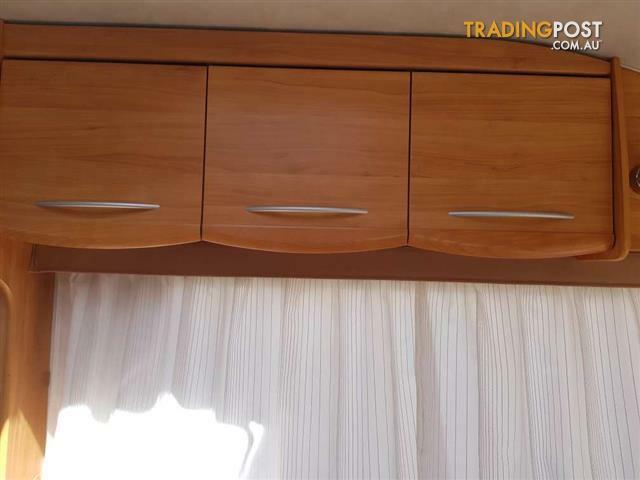 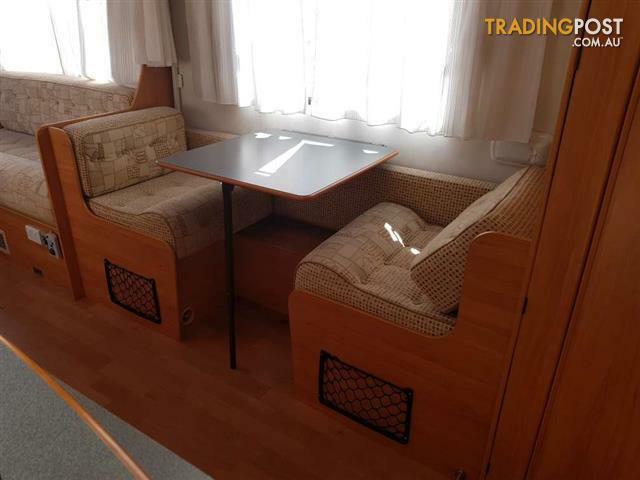 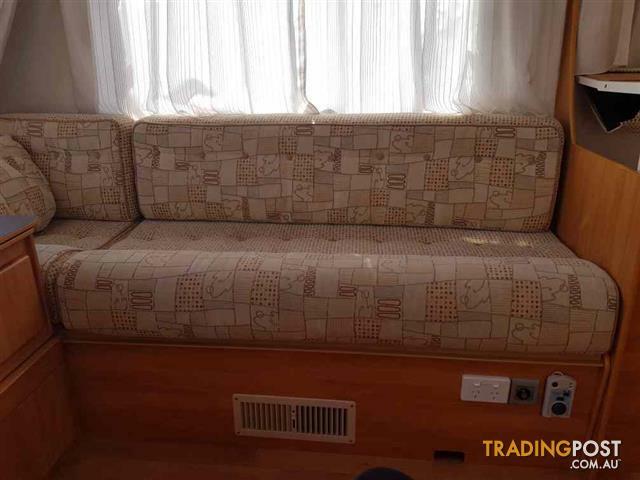 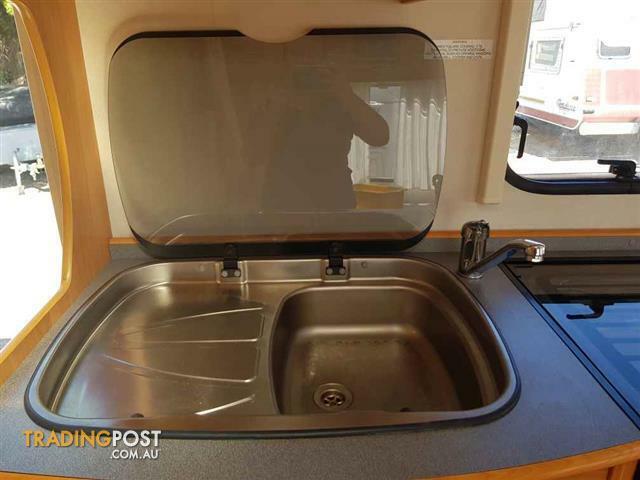 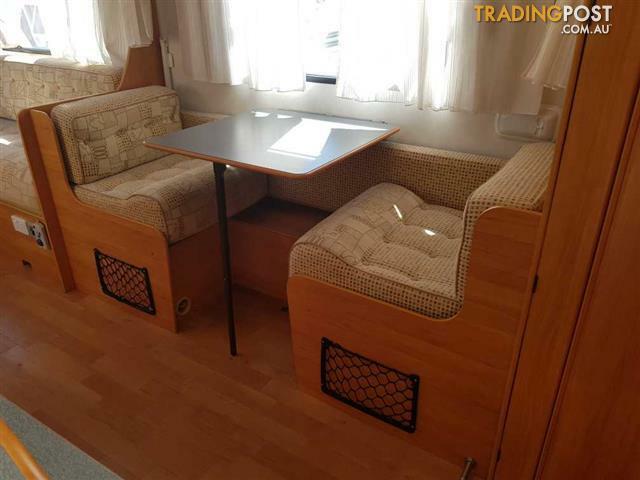 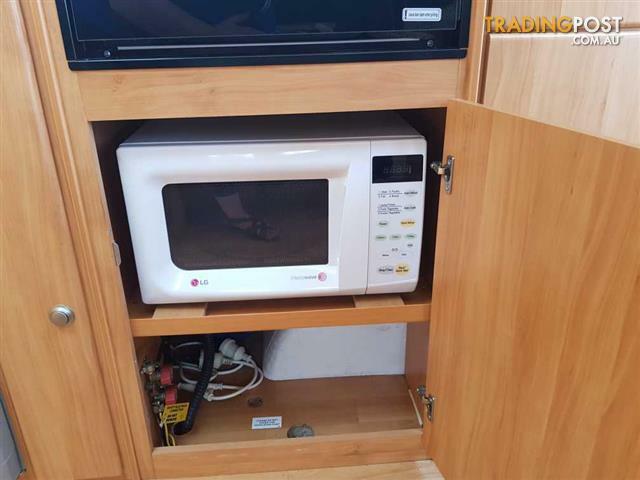 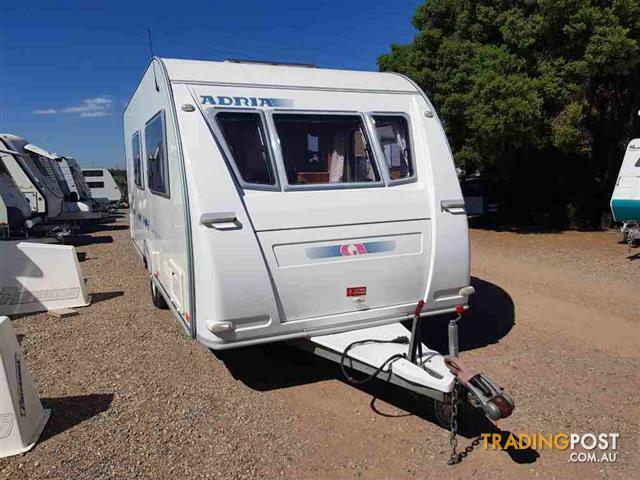 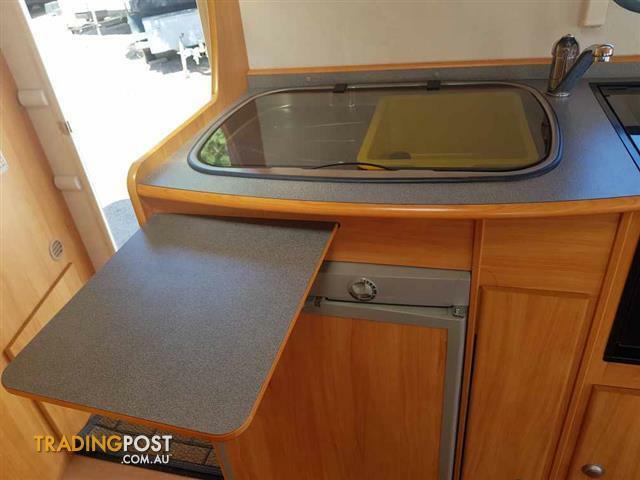 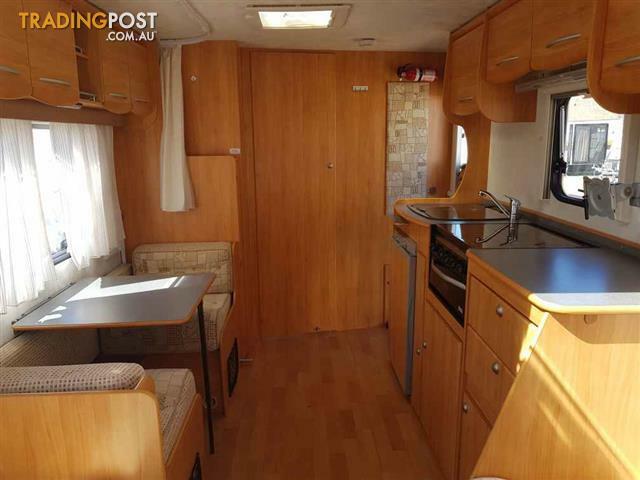 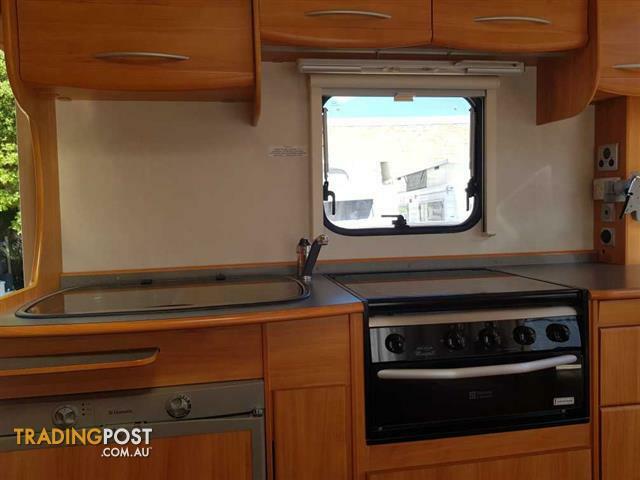 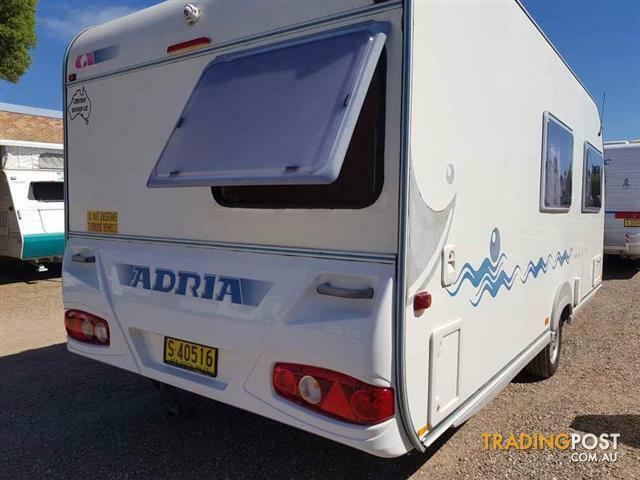 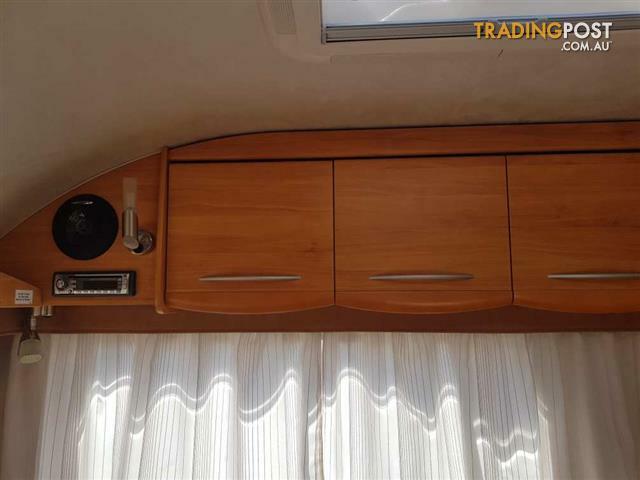 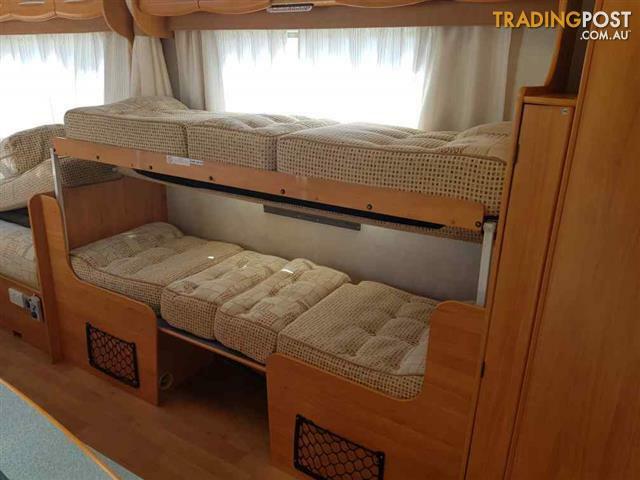 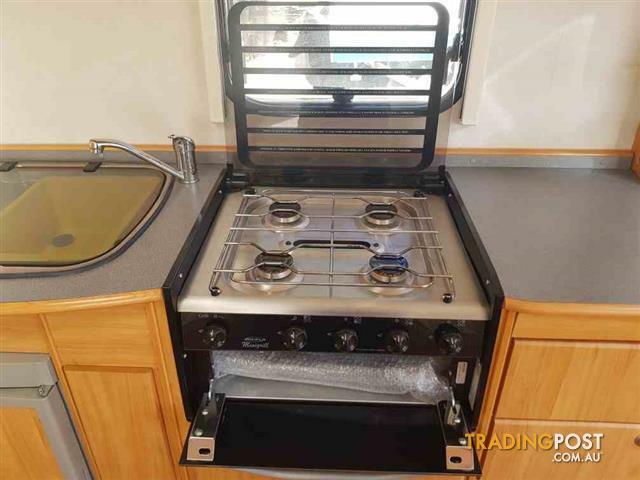 This 2005 build Adria Adora is a 17&apos; family van featuring a centre near side kitchen equipped with a microwave (hidden within a cupboard), 3 way fridge, 5 burner stove top with grill and a stainless steel sink with glass cover. 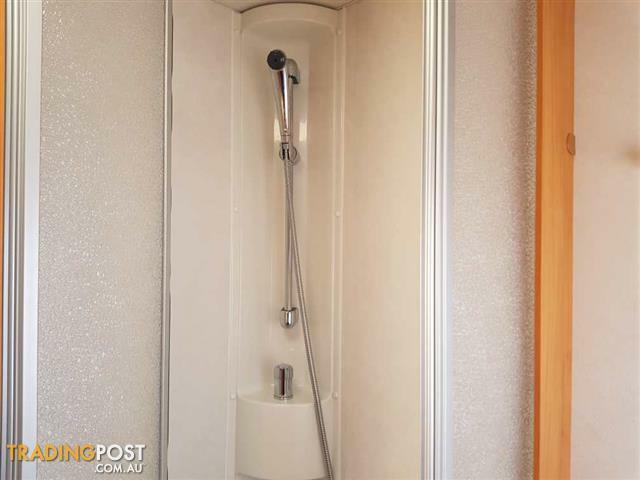 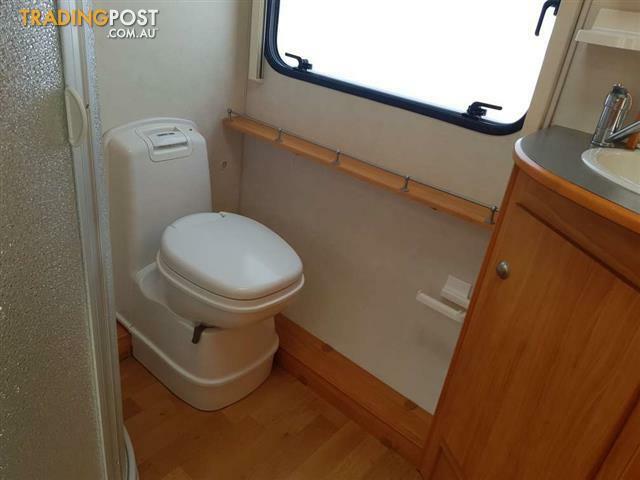 The van also features a rear ensuite with plenty of storage. 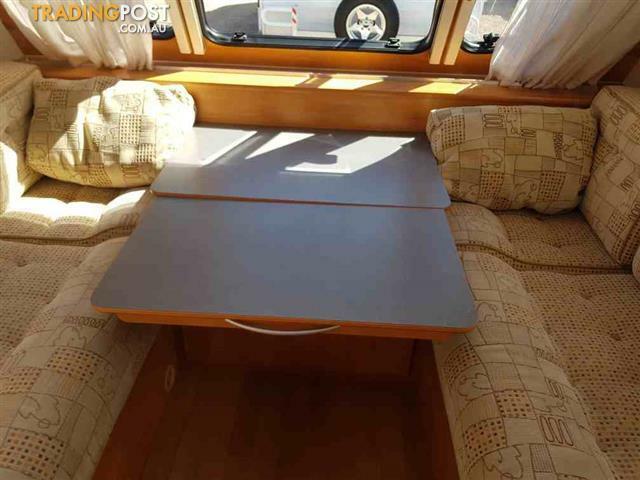 The van has 4 berth availability with 2 front lounges to be used as single beds or to convert into 1 large bed, as well as a cafe dinette opposite kitchen to convert into single bed or 2 bunk beds (for small children ONLY) with a privacy certain. 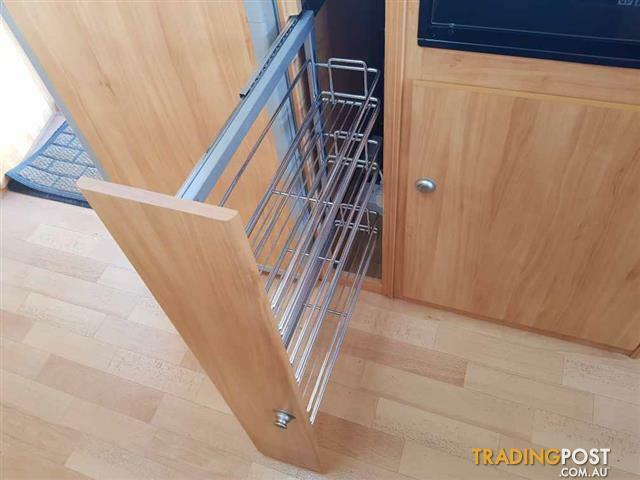 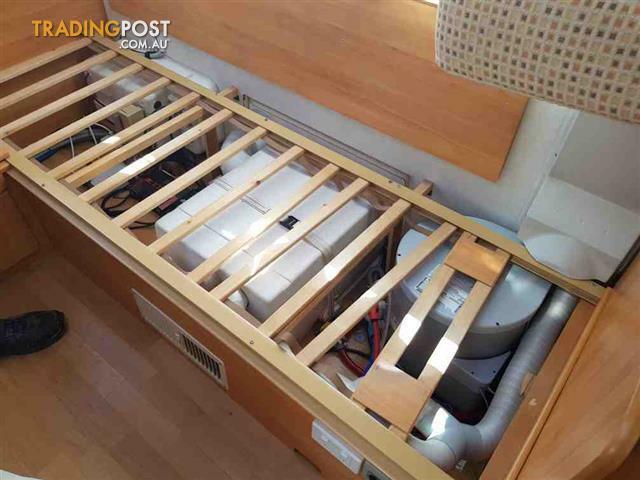 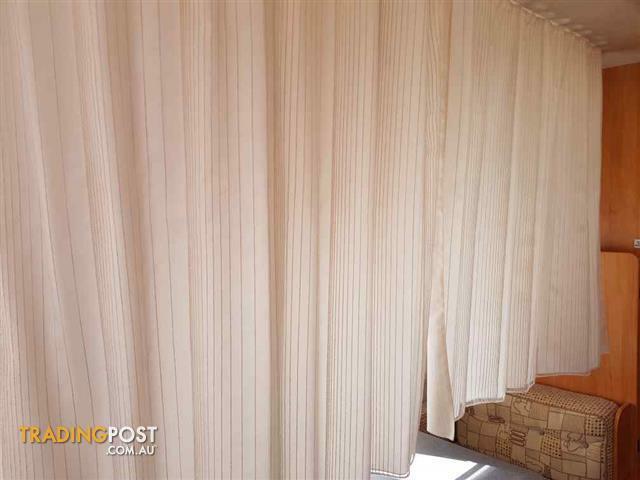 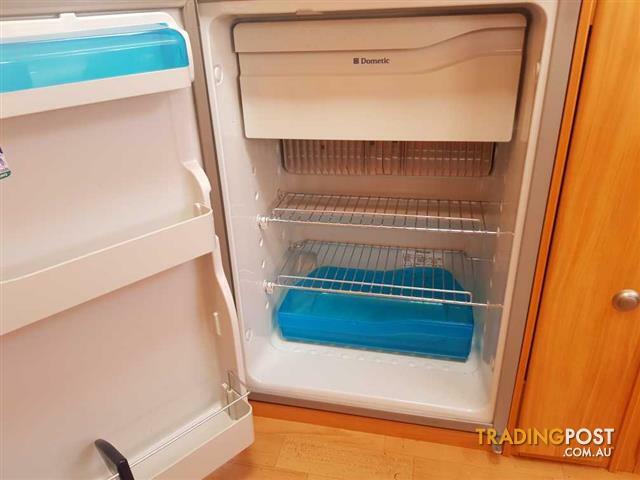 The van has lots of hidden features, inc. a foldaway table hidden in a cupboard. 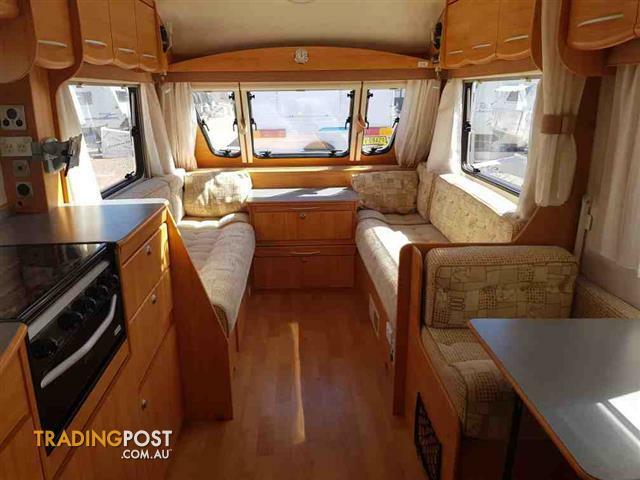 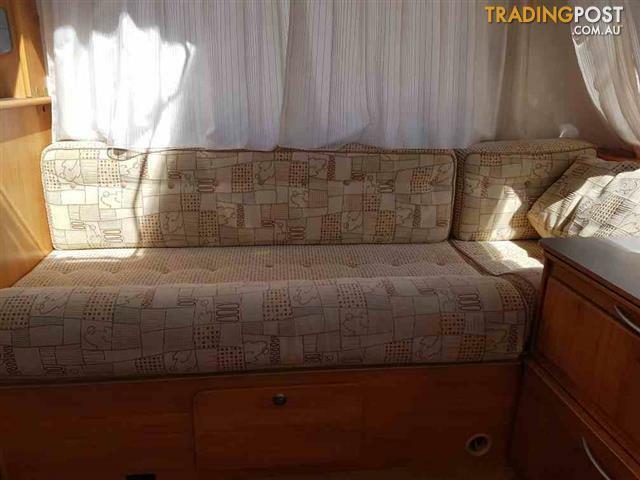 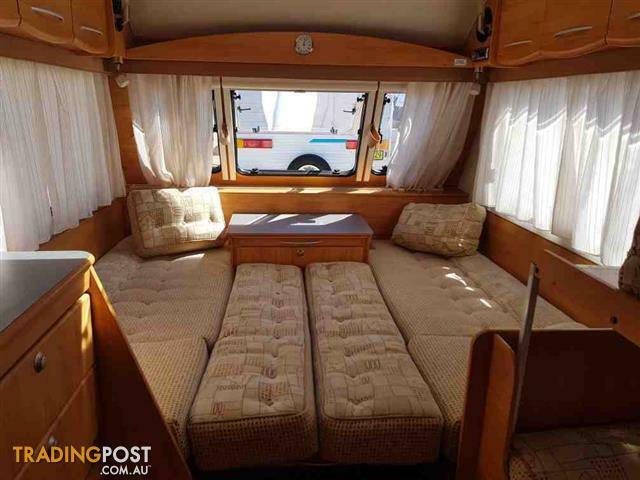 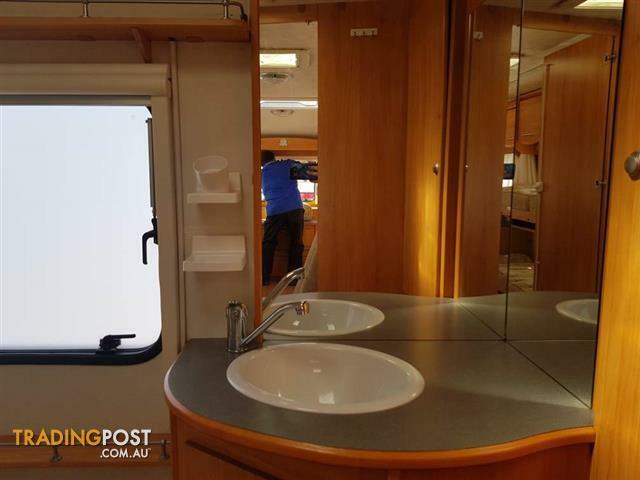 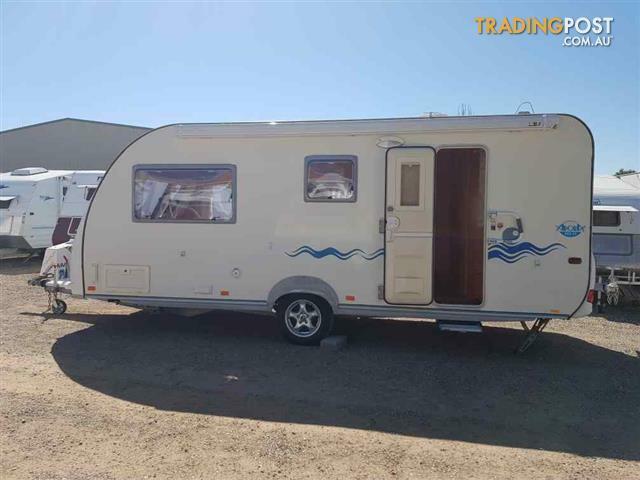 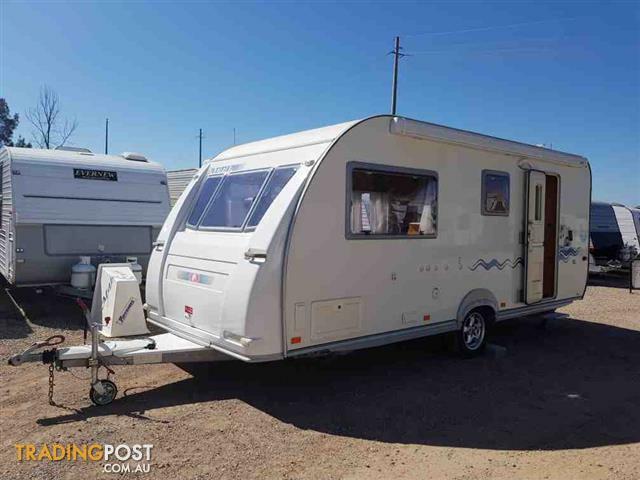 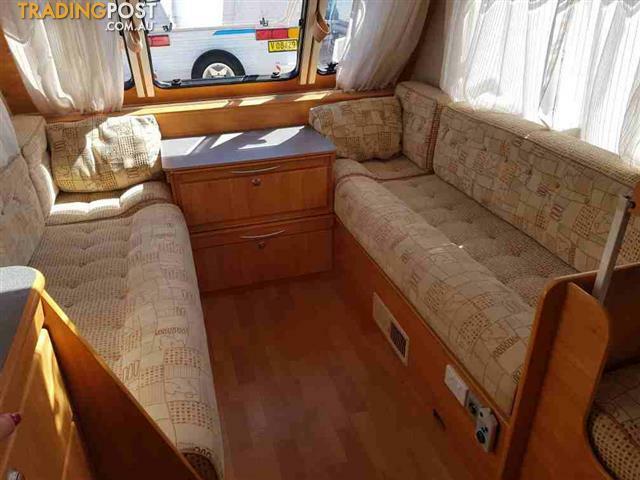 Features also include a Fiamma roll out awning, battery pack with management system and gauge, 200 W solar panel, water tank gauge, large windows with curtains and blinds, radio / CD player and provisions for a TV.